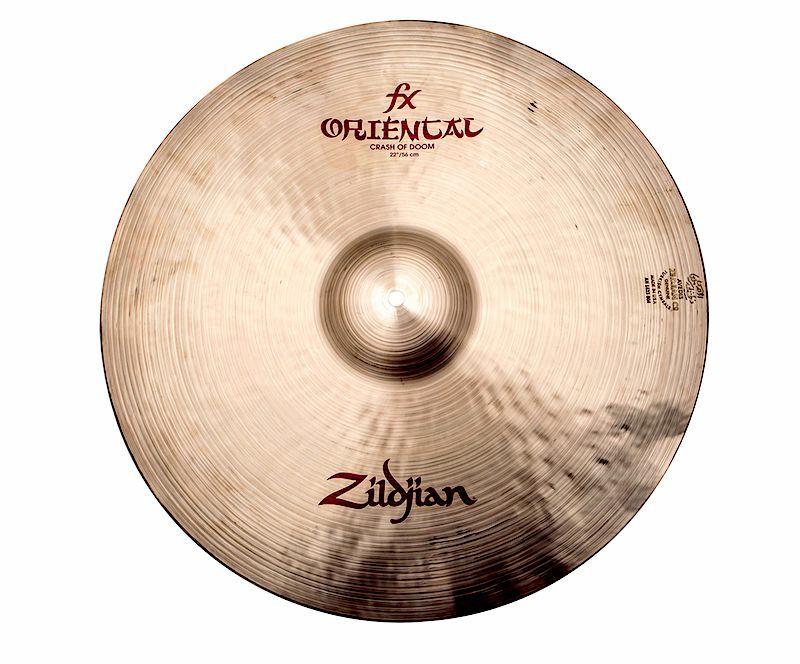 The Sweet hihats as a model aren’t new but Zildjian has now opened the line up to a 14” version as well; previously they were only available in 15” and 16” sizes. They consist of a thin top cymbal and an extra heavy bottom, and have unlathed bells. These are the first time I’ve tried anything from the Sweet hihat range. They have the familiar K feel to them and produce a defined chick and clear stick sound. For me, they sat nicely in the context of the whole kit, not being overly loud or brash sounding whilst still having a very useable dynamic range. 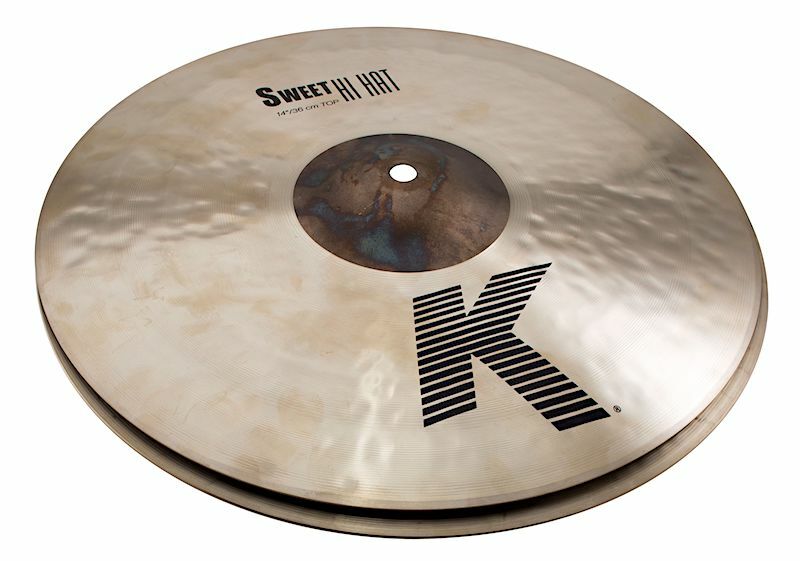 I missed out on trying the [earlier] larger versions of the Sweet hihats so I can’t say how they compare in that respect, but, as 14” hihats they felt good to use and would probably work in most situations. 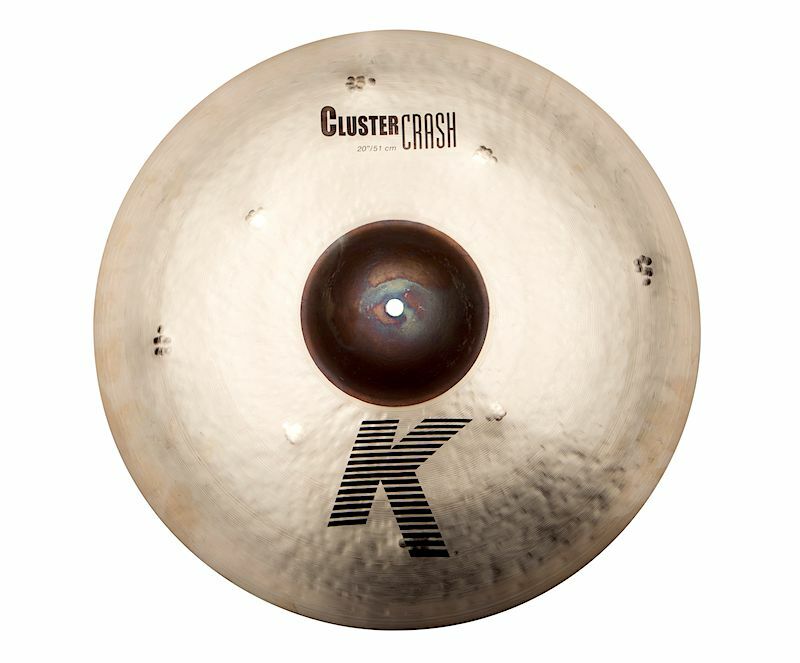 These new K line crash models are available in 16, 18 and 20” sizes and are traditionally finished with an unlathed bell. Their name comes from the clusters of hammering around the surface which have previously been a feature of other popular K models. They’re paper thin in weight but still feel quite solid under the stick. Being thin though, they’re always going to have a ceiling in terms of volume so they wouldn’t really be suitable for louder/heavier situations. The sound they produce is dark with a good spread which stays controlled. When used as a crash ride, their sound is full but doesn’t get overbearing or uncontrolled with ringing overtones. In practice, I think these are some of the nicest crashes I’ve played as they have a smoothness to them which I really liked both sonically and feel-wise. I found I preferred the two larger sizes in terms of how they felt to strike – the 16” was just a fraction too light for me personally to use as a main crash – but I would certainly be happy to use any of them for most forms of music. It’s big, loud, dark and trashy. There’s probably not much more too it really. The Crash of Doom model has been out for a long time and therefore isn’t a new design as such. Like with the Sweet hihats, the range has been expanded with a new size. So, like I said, the 22” Crash of Doom is big, loud, dark and trashy. Nothing too much of a surprise there given that’s what it’s designed to do. However, it does also make quite a cool alternative ride cymbal too. The new FX Stack line is a series of 8″, 10″, 12″, 14″ and 16″ sized pairs of cymbals which can be used in different combinations. 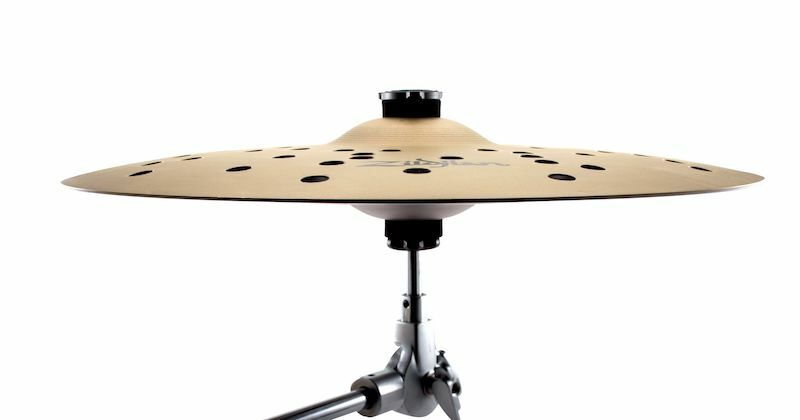 Utilising the Cymbolt mount included with each pair, you can quickly switch from a traditional stack (one on top of the other) to a specialised hihat setup. The more traditional stack setups produce the expected short and bright sounds and these can be changed up using the wingnut on the Cymbolt. As hihats, they’re fun, funky and something different. I admit, I’m not really a stack user. I have some, and whilst I enjoy listening to other players use of them, I’ve never properly found a use for them myself on any of the gigs I’ve done over the years. I guess I’m just not that hip in that sense, but still, I liked the multi application possibilities of the FX Stacks. I also liked the various size options available from launch.